Searching for puppies for sale near me can be a fun experience, but leaving a puppy home alone is risky. Taking a few precautions can limit puppy’s access to dangers, as well as provide for his basic needs. Leaving a curious puppy alone with access to the entire house is dangerous for your belongings and for the puppy. There are a couple of choices when determining how to limit the young one’s space while you are away. The first is a kennel or crate. This provides you with greater control over what the puppy can and cannot get into when unsupervised. The second option is to select one room, such as your kitchen, and use baby gates in the entrances to keep the puppy inside. Kitchens are a prudent choice as most are not carpeted and therefore, any potty accidents are quicker and easier to clean up. Be sure to secure any items that pose a danger to the puppy. Your puppy and his little bladder are still learning the ropes. Expecting a puppy to not need to go while you are gone for eight hours of work is as unrealistic as expecting a baby to wear the same diaper all day long! If at all possible, go home during your lunch break to take your puppy to the place you’ve designated for him to do his bathroom business. Your puppy is trying to learn and wants to please you, but simply cannot hold it all day. Leave pee pads or newspaper in one corner of the puppy’s controlled area so he can go potty there if necessary. Dogs are highly social creatures by nature. They long to please their parents and they want to be with you. 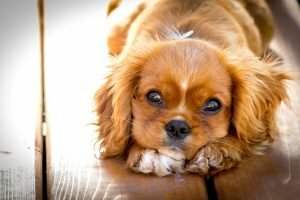 Add this to the fact that your puppy has been recently separated from his biological mother and siblings and it’s easy to understand why your puppy may experience some separation anxiety in your absence. One of the best ways to minimize this is to get a companion canine for your puppy. Two dogs together will keep each other company. However, this isn’t possible in all cases. Be sure to leave toys for the puppy to engage. Perhaps choose one or two particular toys that the puppy can play with only in your absence. Select an interactive puzzle toy that forces the puppy to solve how to get a treat out of the toy. If your answering machine is within earshot of the puppy, call home a couple times a day leaving a message just for him to hear. Your voice will be a soothing interruption during the day. Of course, nothing can replace human companionship during the day. If possible, leave the puppy in the care of another person. Doggie daycare centers are a growing trend. Other daytime options include pet sitters who will check in on your puppy during the day. Services offered by pet sitters range from full-day care or simply an hour consisting of a potty break, a walk and some snuggle time. It can be hard going through life with mental illnesses like stress and anxiety. These can be some of the hardest illnesses to deal with on your own. Strangely enough, dogs are able to help. Some dogs have the ability to be trained to notice a change in behavior that may signify that their owner is becoming upset. 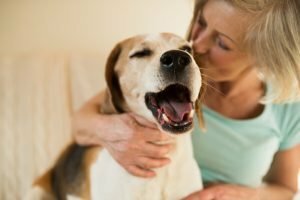 Dogs act as an intervention plan and can help stop their owner from becoming entirely overwhelmed at the beginning phases of an anxiety attack. Dogs can be a way for their owner to refocus on what’s right in front of them. 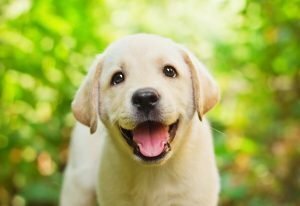 Here are just a few dogs that can help with anxiety and stress. Labs are very even-tempered, gentle, and trusting dogs. They will immediately build an unbreakable bond with their owner as soon as they meet them. These dogs are some of the best of friends. They are very aware and do not like to see their owners upset at all without trying to help. These are some of the most loving and strong dogs and anyone with these types of mental illnesses should consider getting. Pugs are extremely attentive and loving. They will share a bond with you like no other. They are some of the most precious dogs on the planet. Because of their attentive personality trait, they can tell when you are becoming upset very quickly and will act right away to try and help you. These dogs are easy to train and the perfect friends to have around. There are Pugs for sale at Petland just waiting for a new friend. These guys are adaptable, patient, and playful. They understand that an anxiety attack can take form in many ways and because of their ability to adapt to different environments, they are able to understand when you may need assistance even if you are having different symptoms than normal. They are also playful and will help distract you during times that you may be feeling down. There are Caviliar puppies for sale at Petland, of course. Living with a mental illness as severe as anxiety can be very stressful. Anxiety attacks can come at any time and knock you off track from what you were trying to get done that day. Thankfully, dogs were blessed to live on this earth with us and some can act as a care keeper. It is important that you talk with your therapist first to make sure that getting a service dog is something that you need. Petland can be the perfect place for you to buy this dog to help keep your life on track! Having kids is one of the hardest tasks anyone can go through. They require so much attention and care that can be hard to handle sometimes. If you had one kid and did not decide to have another you may feel like you need someone to help you give attention to your child. What better idea than getting a dog for your only child. Dogs can be the best of friends to any child especially in times where you are too busy to match the amount of attention your child needs. 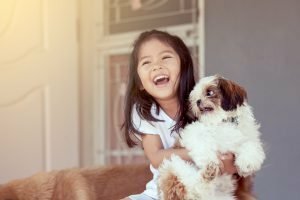 Here is a list of some of the most loyal dog breeds you should consider when buying your child a dog. Akita puppies are extremely loyal pets. They tend to attach to their owners and have a significant protective trait. 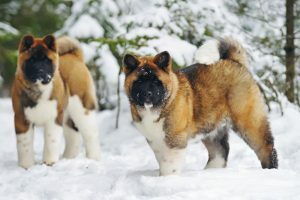 Akitas work best in pairs rather than in groups. They become very anxious in groups but act the complete opposite while in more intimate settings. They are responsive to whatever it is you need at the moment, whether it be someone to play with or to lay down with and cuddle. A German Shepherd puppy is extremely friendly and obedient. 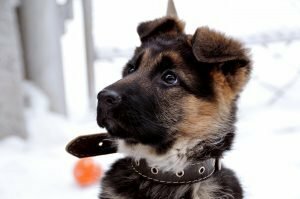 If your child lacks a lot of patience and needs a dog who responds to what they need immediately, then you should highly consider getting a German Shepherd puppy. These dogs are also very confident dogs. They will help your child grow to be more confident around others. There are almost always Boxer puppies for sale at any dog store. Typically these dogs are devoted and extremely cheerful. These dogs will make sure that your child’s needs are being taken care of due to their extreme intelligence. They can also be very calm when they need to to help your child calm down. If you are struggling to find someone or something to help spend quality time with your only child, you should invest in getting one of these dogs. There are Akita puppies, German Shepherd puppies, and Boxer puppies for sale almost always at Petland! Have you always wanted a dog but never considered it because you’ve known from a young age that you react badly to dogs? It is very common for humans to be allergic to dog fur but that does not mean that you can not get a dog for yourself. There are dogs for sale that are hypoallergenic. If you’ve never heard that word before, it means that these dogs don’t shed and there is a slighter chance of you being allergic to these dogs. Some of these dogs include the Maltese, Shih Tzu, and Schnauzer puppies. These dogs are some of the most friendly dogs a person can own. Here are some characteristics of each of these dogs. Maltese puppies are a small dog breed. They make for great lap dogs, but that does not prevent them from being some of the most playful and outgoing dogs on the planet. These dogs often think that they are bigger than they really are and try to play with any/all dogs no matter how big or small they are. A Maltese would be a great dog for you to look for if you are willing to spend a lot of time playing with these non-shedding dogs. Shih Tzu puppies are some of the most affectionate and loyal dogs out there. They are small and love spending quality time with their owners. As well as they are always alert and very intelligent. These dogs sometimes act as guard dogs in the house and are very protective of their owners. Like Maltese puppies, Shih Tzus often think they are bigger than they really are even as a puppy! If you are looking for a more obedient dog that’s easier to train the Schnauzer may be the right hypoallergenic dog for you. These are extremely spirited dogs that love spending time with their owners. They are extremely intelligent which makes them easier to train. They are also some of the most fearless dogs out there which can be a very great trait to have in a household dog. If you thought that your chances of owning a dog were completely over, rest assured knowing that there is still hope for you to own a hypoallergenic dog. Do not just buy any hypoallergenic dog! Make sure that you understand some of their personality traits beforehand so you chose the right dog for yourself. Just search for Maltese for sale, Shih Tzu puppies for sale, or Schnauzers for sale near me and your results will lead you directly to Petland! Visit our page at www.Petland.com and we will be happy to show you our selection of dogs in these breeds. We love our pets, but not the messes they leave behind. We’ve compiled a list of cleaning tips and tricks to help you keep your house looking and smelling good with pets. You can keep your home from smelling like a kennel, by grooming pets regularly. This can keep those unwanted dog smells from permeating your house through the dandruff they leave behind. Also, cleaning their bedding regularly is important. Bedding is another place that collects a lot of their dander and hair and could definitely be the source of the odor you can never seem to get rid of. 3M lint rollers are ideal were when it comes to picking up pet hair. Their ads are humorous, but their products are effective. These lint rollers are your best friends when it comes to ridding your house of pet hair. If you’re in a pinch and don’t have a lint roller, just wrap some packing tape around your hand and use it as a makeshift lint roller. Another great way to get pet hair off of couches is to use a damp rubber glove. Just get it a little wet and rub it all over the hair. It should clump right up and let you pick it off nice and easy. One of the best ways to keep your house clean is to vacuum regularly, both your furniture and carpet. This is the best way that you can stay on top of the various messes and hairs that get left behind. There is an awesome trick to get all the hair off the carpet, and that’s with a squeegee. It works surprisingly well! You can find great natural recipes for carpet deodorizers that are incredibly easy to make. All you do is sprinkle it on the carpet, let it sit for a little while and then vacuum normally. Clean your pet’s toys. They’re a home for hidden germs. You can wash the hard toys in the dishwasher, and the plush toys in the washing machine just fine. It’s that time of year again – taxes. We all try to find as many deductions as we possibly can, hoping for a substantial refund rather than a bill. Did you know there are situations where you can deduct some of your dog-related expenses on your taxes? The terms are pretty specific, but it’s worth looking into when you visit your accountant next month. A deduction is allowed when you move from one part of the country to another provided you ship the dog. This deduction is taken on Form 3903 as part of the reasonable moving expenses of the household. Remember, for moving expenses to be allowed a taxpayer must meet the requirements of Form 3903 which include distance, work-related, period, etc. Seeing eye dogs and medical alert dogs – must be trained to detect impending seizures, help those with impaired hearing or vision. The key here is “special training” required. Medically necessary dogs are required to be licensed by their owner, require special documentation provided by a doctor and special dog tags. See your tax person for more information. Security dogs – must be used as security for a place of business (cannot be a private residence or a hobby farm – true business farms qualify). Must also be a “protection” breed such as the Mastiff puppies for sale at Petland stores. You also have to keep accurate records of time spent on the job. 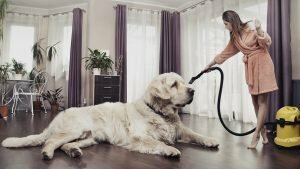 Dogs trained to find bed bugs – In all of these cases, the cost of buying, training and maintaining the dog is deductible. Since they are not a service animal, therapy dogs do not qualify for the deductions mentioned above. However, the therapy business may be able to write off mileage as a charitable contribution. This is dependent on the organization’s status with the IRS. If the group you are working with as a therapy team is a registered non-profit, you may qualify. Dogs used in hobbies such as show dogs or bird hunting may be deductible. If the dog wins prize money in the endeavor than the expenses incurred to train, show, etc., are deductible up to the winnings. To do this, you must be able to file Schedule C.
Fostering or adopting a dog from a qualified charity may be deductible. If the adoption fee is a donation, it is deductible. However, if it is payment for the dogs care it isn’t. After you purchase a dog such as Akita puppies, it’s easy to forget that dogs don’t understand all of our human behaviors and unknowingly send them body language signals that are interpreted differently in the animal kingdom. For these reasons, we’ve compiled a list of 5 common things that humans do that stress dogs out. Dogs bark, dig, chew, and sniff. To them, it’s natural behavior! However, this doesn’t mean your dog should have free reign to do whatever he likes. Instead of punishing these doggy behaviors, they need to be redirected–and this takes patience! Dogs thrive on consistency and routine and take comfort in it. If your pup is allowed on the couch one week, then scolded for it the next, she will become stressed when she can’t anticipate your reaction to her behavior. She won’t understand if one night you decide to “let it slide” or you allow her to break the rules for a “special occasion.” When you create boundaries, stick to them! This one can be a tough habit to break! Say your dog is barking at the mailman, so you say, “shh!” “stop!” and “quiet.” You’ve given her three different commands that are supposed mean the same thing. Your dog gets confused so she continues to bark and eventually gets scolded–but she doesn’t know why! The best plan is to come up with specific words to apply to each trick or command and to make sure everyone in your family is on the same page. This gesture is a universal stress inducer for dogs. It is often accompanied with an angry gesture, a hovering stance, and a stern tone. Your pup may not remember what he did to deserve the “finger point,” but he will know that you’re upset with him, thus causing him anxiety. Like humans, dogs get bored if they don’t have enough physical and mental stimulation in their lives. Dogs that are unsatisfied and bored will often start destructive behaviors such as chewing and digging. Remember, your dog can’t entertain himself by enjoying a Netflix binge or taking himself for a walk. He depends on you to stay fit, physically and mentally! The heartbreaking whimpers can be heard down the hall. The cries and door scratching every morning when you leave for work. Separation anxiety can come in many breeds including the Mastiff puppies for sale at Petland. If you are concerned and wondering how to help your dog, read on for five tips for dogs with separation anxiety. This one is tough especially if you work full-time, but you may need to adjust your schedule or hire a dog walker to come once or twice a day so your pup isn’t alone for too long. Pick a place in your house where your dog will stay when you leave. 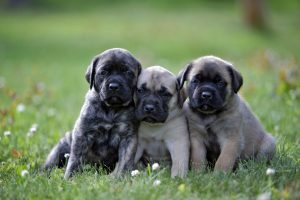 In our years of connecting parents with Mastiff puppies for sale, we know that these larger breeds can become destructive when left alone. If your dog is destructive when you’re gone, try and pick a place where minimal damage can be caused to both your home and your pup. Place your dog in the containment area along with a nice dog bed and a soft item such as a t-shirt or towel that carries your scent. The scent item provides comfort. Scatter a few treats in the confinement area. Close the gate and move a short distance away but remain in sight. How far you should go depends on your dog. If he normally becomes distressed even when you move just a foot away, start that close to him. Sit on the floor or on a chair just outside the confinement area. If he’s already comfortable with you sitting a few feet away, start there. Most dogs with separation anxiety pick up pretty quickly on all your departure cues and start getting stressed before you leave. So you need to desensitize your dog to those cues and throw him off his game. Start picking up your keys, but then just sitting down. Put on your jacket, then don’t leave. Put on your shoes, but take him out. Do this many times during the day. When you do actually leave, put him in his alone zone and very mellowly leave. No big, long, goodbyes. If your dog sleeps in your bed under the covers, We recommend doing what you can to get your dog on his own bed in your bedroom. In addition, if your dog is constantly on your lap or is incapable of leaving your side, try to encourage him to play with stuffed toys or bones on his own. Use games of tug or fetch at times when you can really interact with him versus just letting him velcro to you whenever you’re home. Take him in the car and on field trips to the pet store or park to help broaden his world beyond just you. The above exercises need to be practiced every day. There’s no quick fix, but there is hope. They are small, lovable and near and dear to our hearts. Babies and puppies give us a fever that Motrin can’t cure. 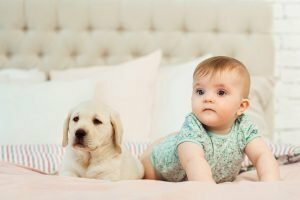 If you love puppies and babies, here is a must read for you. We have compiled five things that puppies and babies have in common. Newborn puppies have soft fur, tiny eyes, and squeaky cries. Newborn babies have silky skin, an irresistible smell, and curious mannerisms. Both puppies and babies are adorable in their own way. As puppies and babies grow they create unforgettable memories and uncontrollable laughter. These adorable miniature creatures can bring joy to our families and our homes. Children and puppies need lots of love, care, and attention. In our Petland stores, we use the analogy of a puppy being a new baby in the family. This is why we offer our Four Needs Tour to help new puppy parents better understand their pup. A puppy will require constant care just like a newborn child. Just as you would tend to the needs of a crying newborn, a puppy’s cry indicates a need for love and care. As babies grow, their teeth grow. Puppies face the same challenges that teething babies encounter. The experience can be painful for both puppies and babies as the new teeth break through the gums. Luckily, there are remedies to ease the pain. As babies grow into toddlers, potty training starts. For puppies, potty training and puppy training begin as soon as you get home. Both puppy training and potty training require patience. Just as children make mistakes and have accidents, so will puppies. Over time they will perfect these skills so don’t give up. One day they are tiny creatures then soon they are full grown teenagers. While you won’t have to take your dog on driving lessons, you can look forward to him growing leaps and bounds. Enjoy the days of puppyhood because just as with children they seem to become young adults right before our eyes. She was your dream girl and he was your dream guy. At the height of your relationship, you were searching for newborn puppies for sale. For some reason or another the relationship didn’t work out, and now you must find a way to peacefully share custody with your ex. This can seem dreadful, but our staff at Petland wants to help you be successful with these five tips for sharing puppy custody with your ex. Breakups are never easy, but dealing with your ex for custody of your beloved puppy doesn’t have to be a war. Keep interactions peaceful by focusing your discussions on your puppy. Rekindle the same joy that you had when you were searching for newborn puppies for sale. Remember that your puppy can sense your emotions and anger and frequent fights can cause a puppy to feel anxiety. When a live-in relationship ends, someone is forced to move out. It is best that a sense of normality is maintained for the puppy. If possible, arrange for the pet to live with the parent who will remain in the same home. If not possible, be sure to keep important items such as the crate, blankets, bowls, and toys that the puppy associates with home. Be patient with your puppy in a new environment. As they adjust, accidents may happen and puppy training may backtrack momentarily due to the change. The parent who visits doesn’t have to miss out on the fun times. Bring the joy by planning fun visits with toys, playtime, exercise and of course treats. Take turns with routines, such as going to puppy training and going to the groomer. Remember that your friendship with your puppy doesn’t have to end just because your relationship ended. 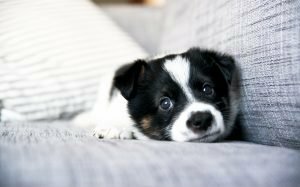 While it will require a bit of work and communication, it is possible to successfully co-parent a puppy with an ex.